“Fix the Damn Roads” is the top priority for the winner of Michigan’s Aug. 7, Democratic primary for governor. “While politicians in Lansing (the state capital) vote down road funding solutions for political gain, the dire state of our highways is endangering our people and getting in the way of our economic prosperity,” Gretchen Whitmer, a former leader in the Michigan State Senate, says in the issues section of her website. “We’re going to fix our roads the right way, the first time — with high-quality material and mix, so that we get the job done right,” her policy statement continues. Bill Schuette, the state’s former attorney general, won the Republican primary. Roads, bridges and other transportation needs are not among the issues in “Bill’s Plan” on his campaign website. Schuette has said he would order a review of the Michigan Department of Transportation and how it allocates dollars. He also has pledged to devote to roads any savings from the recent repeal of the state’s prevailing wage law for construction workers, which had guaranteed union-level pay on government building projects, but usually not roads, according to The Detroit News. 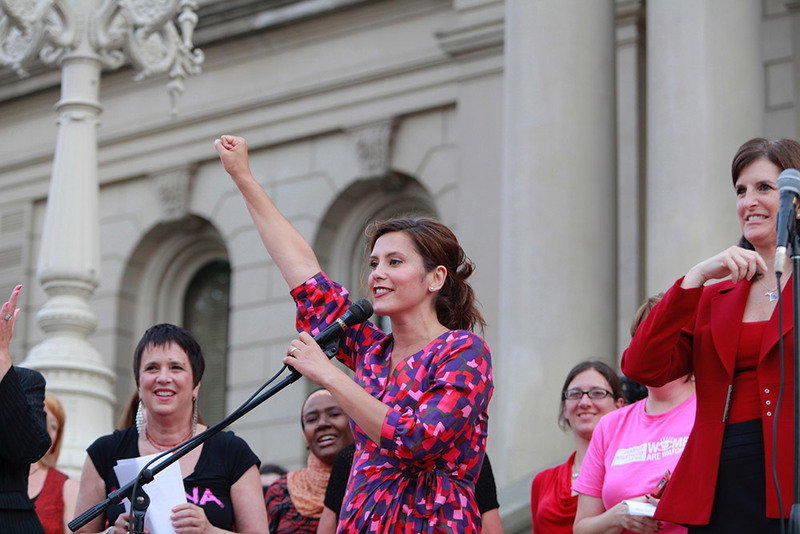 Whitmer is among 11 women nominated for governorships this year. Thirty-six states have governor races on Nov. 6.